Proven expertise, coupled with credible, relevant information + a curated collection of vetted resources, leads to information you can trust. 17+ years in the world of professional organizing and productivity. Featured subject matter expert in an array of national magazines. Appearances on popular TV shows including A&E’s Hoarders and NBC’s The Today Show. Accomplished seminar + workshop leader. Level V Master Trainer, the highest level of certification in the professional organizing field. Coach + instructor to thousands of professional organizers. It all adds up to a trusted + respected partner, ready to help you launch or build your own successful, sustainable, and lucrative organizing business. Collaborating with a seasoned pro will increase your confidence, improve your productivity, and facilitate scalability – at any business level. Embarking on business transformation – whether a new or established venture – can seem overwhelming: dread of the steep learning curve, apprehension about change, concerns about cost, process, competition + day-to-day operations. I offer tips, tactics, and trade secrets designed to help you accelerate your learning with an emphasis on mastering faster. In addition, I want you to feel relaxed, confident, and well-equipped to focus on your business while building self-reliance and honing your skills. My partnership-centered approach defines your unique vision of business success, then fosters skills and knowledge to follow your bespoke blueprint to achievement. I want to truly comprehend your approach to your business –no matter the size or scope of products + services offered. We’ll partner to determine the career-enhancing changes, productivity-boosting processes, and smart strategies that will best match your goals + budget. One-size-fits-all has no place in my world; I’m here to offer custom-tailored attention, designing real solutions for real people, emphasizing simplicity + excellence. I turn the serious work of strengthening your enterprise into a delightful + rewarding adventure. My laser-focus is on guiding you to affordably achieve meaningful results sooner than traditional coaching + learning methods. My heart is in creating a supportive environment of positive transformation, driven by the ongoing reward of experiencing delight every time you get to work. Our shared dream: heighten efficiency where you excel, outsource purposefully, and maximize time spent doing what you love! Geralin’s New Organizers' Essentials forms make a difference for both new and established professional organizers. She's created comprehensive forms that condense a lot of vital information necessary for client evaluation and interaction, business administration and money management. These forms will help any professional organizer run her/his business more smoothly and effectively. 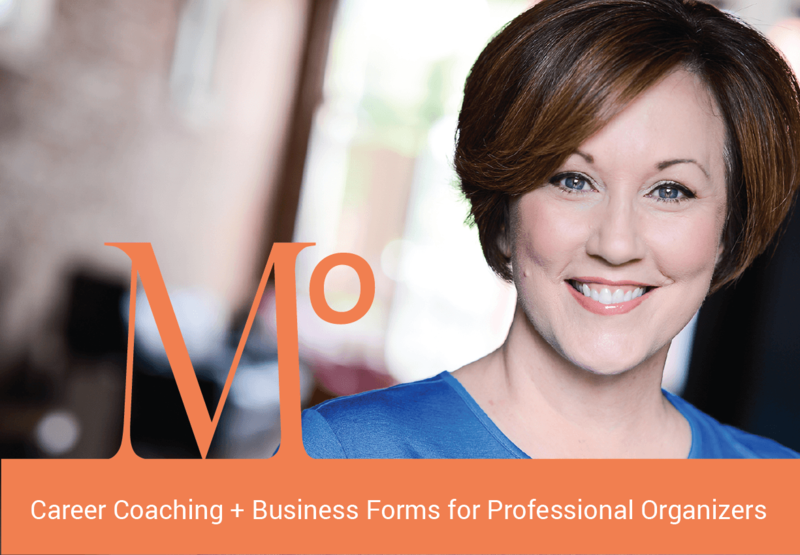 Begin or enhance your career as a professional organizer or productivity consultant. Since 2002, clients and colleagues have trusted Thomas’ tips, tactics, and techniques. 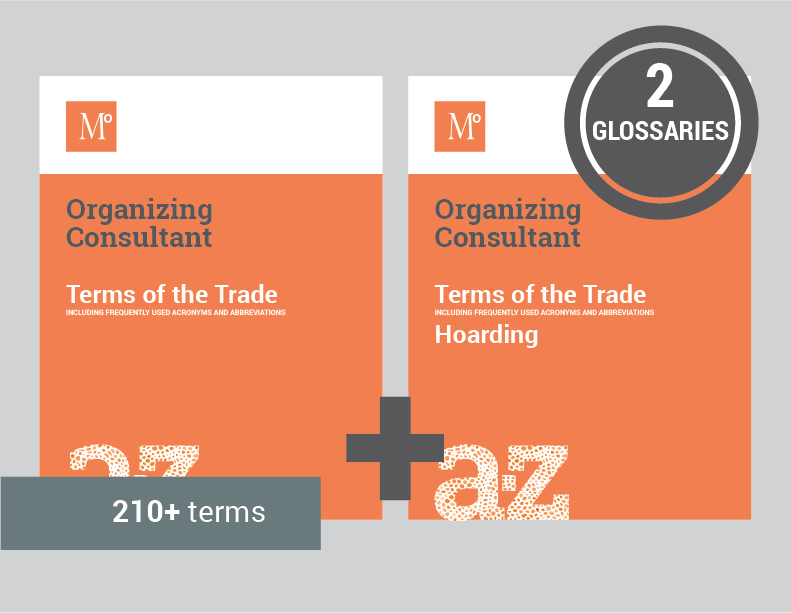 Communicate clearly + confidently using these professional organizing and hoarding dictionaries as your guide. Project confidence and effectively manage the legal, business, branding, and client-relationship aspects of your organizing services. Use this comprehensive collection of professional organizers’ business tools. 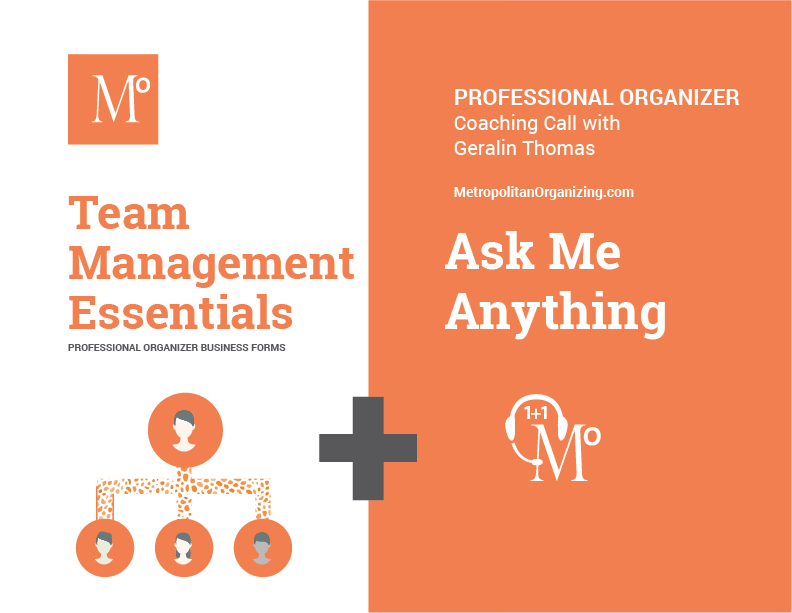 Get the comprehensive collection of forms and checklists in New Organizers’ Essentials package and a 1-hour coaching call with Geralin to answer any specific questions you have about starting your organizing business. Ordering the New Office Essentials Kit and taking the NOE group class have turned out to be the missing puzzle pieces for me. Now I feel more confident and competent when talking to potential clients and I have the tools to convey the value I bring. Thank you, Geralin, I feel like I’m really on my way! Assemble the best team of people for your organizing projects with business forms designed to manage any team with confidence. Grow Your Professional Organizing Business with the Best Team. 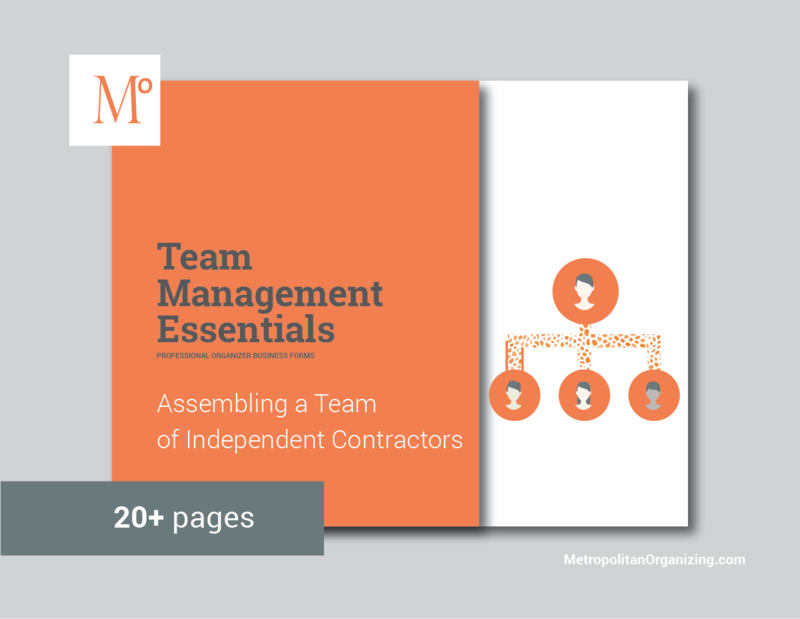 Get the team building forms and checklists in Team Management Essentials package and a 1-hour coaching call with Geralin to answer any specific questions you have about assembling a group of independant contractors. I first saw Geralin on Hoarders when I was about one year into my professional organizing business. I loved how confident and classy she was, even in the stickiest of situations. When I met Geralin in person at a conference, her charismatic personality really stood out. After that, I contacted her for coaching. Since then, Geralin has been an amazing influence in my business. She and I meet a couple of times each month to discuss my business strategy. I've gained the confidence and knowledge that I need to succeed in the professional organizing business. Geralin has always been friendly, goal-oriented and dependable. I know I can count on her when I need her the most — I don't know what I'd do without Geralin as my business coach. She lends the added support and mentorship I really need. Since beginning my work with her, my business has doubled. 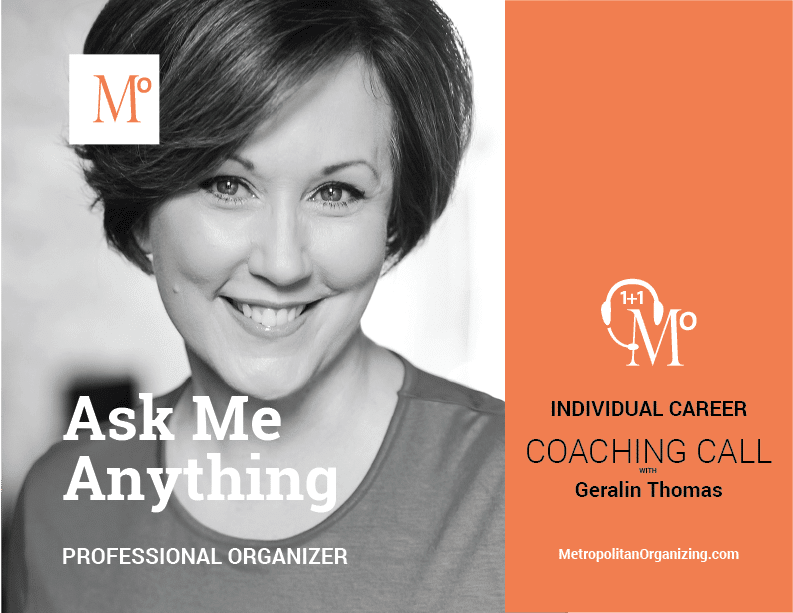 Anyone who is thinking of becoming a professional organizer should contact Geralin — she's an amazing mentor, leader and coach. Every time I meet with her I walk away with great information, assignments and new goals. Her cheerfulness is rejuvenating and I look forward to every session. 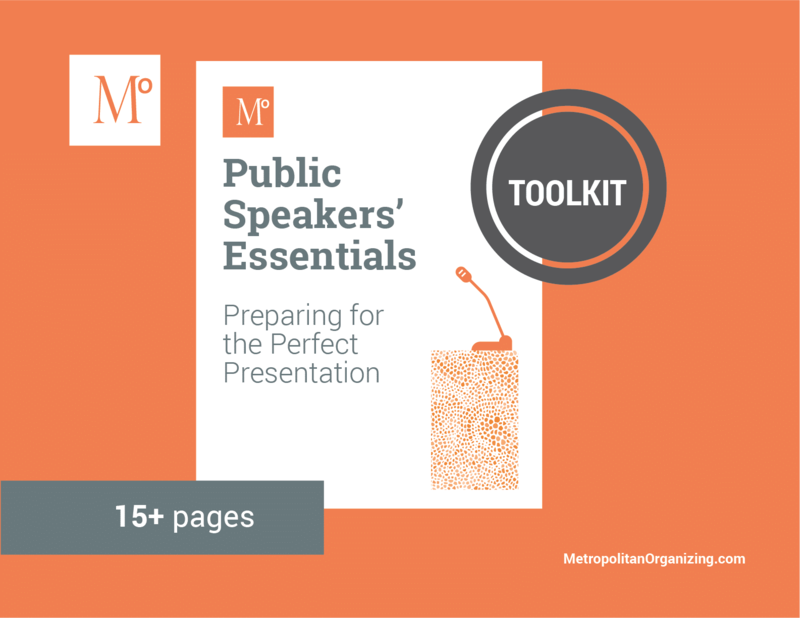 Project authority and professionalism with forms designed to help you prepare and deliver the perfect presentation or speech. Take your organizing career to the next level with expert and actionable advice. Let Metropolitan Organizing help you manage your time, space, and life. Create a wardrobe that fits your personality, lifestyle and body type. Professional Organizer. Coach. Author. Speaker. NAPO Instructor. I help small business owners figure out how to do what they love and love what they do.